Kyle is currently an animator at Pixar. He's worked in the industry since 2005, on films and commercials including Horton Hears a Who and Ice Age 3 at Blue Sky Studios, Big Hero 6 at WDAS, The Angry Birds Movie at Imageworks, and most recently Coco at Pixar. He was also an animator at Pixar Canada for 3 years on several Toy Story and Cars Toons, such as Partysaurus Rex, Small Fry, Air Mater, and others. 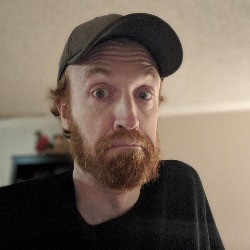 Outside of film, Kyle has worked on various commercials at studios in New York, including Nathan Love (now Aardman Nathan Love), Framestore NY, Psyop, and Charlex. He is currently finishing production on Incredibles 2.